TYhe Sparts celebrate the political death of Gerry Healy, and Mike Banda too, although they did not know it then. WE ARE PUBLISHING for the first time the full text of David Bruce’s critique of the bastardization of dialectics that Gerry Healy foisted on the International Committee (IC) in the 1970s and 1980s. Bruce had joined what was then the Socialist Labour League in the late 1960s and, soon after, the staff of its printshop where he worked continuously until the WRP broke up in 1985. Though ‘elected’ to its Central Committee early in 1984, he was primarily a technician, not a political leader. He was, however, one of a soon-to-be-notorious group that worked covertly to expose what its members saw as Healy’s personal and the wider movement’s political corruption. His essay was at the time and remains to this day the most comprehensive and insightful analysis of the philosophical outlook that Healy called ‘the practice of cognition’. Yet Bruce’s contribution to the attempts to overcome the disorientation within the International Committee in those years has been unjustly forgotten. Now Healy may have committed a number of intellectual and political crimes but being a left Hegelian was not one of them. Bruce on the other hand correctly identifies Healy’s philosophical outlook, insofar as there is anything coherent in it, as a form of ‘sensationalism’. The Encyclopedia of Philosophy defines ‘sensationalism’ as ‘the doctrine that all knowledge is derived from sensations’.3 It identifies this philosophy with such thinkers as Hobbes, Locke, Berkeley and Hume. While he does not use that term, his careful analysis of Healy’s text demonstrates that the ‘practice of cognition’ was little more than a vulgarized form of sensationalism in which concepts are seen as little more than worked-up sensations. Healy’s enterprise therefore had much more in common with an empiricist like Locke than with anything remotely to do with Hegel or left Hegelianism, notwithstanding Healy’s appropriation and often mangling of Hegelian terminology. It [the world] affects the sensory organs, producing sensation in the form of indeterminate mental images. As forms of the motion and change of the external world, these images are processed as concepts of phenomena. The best that can be said of ‘images are processed as concepts of phenomena’ is that it is misunderstood empiricism without the clarity of the empirical philosophers. ‘materialistically’ through the prism of Lenin’s Philosophical Notebooks, then it fails miserably in the first place because it begins with a complete misunderstanding of Hegel’s Logic. Hegel believed that knowledge is a kind of ladder which must be climbed from the very stirrings of philosophical thought to the highest realm of the Absolute. The beginning of that ladder is the world of sensations or what can be considered immediate experience. And that is how he begins his Phenomenology of Spirit. However, by the time he writes the Logic, the road travelled by the Phenomenology is already presupposed. Hegel viewed the Phenomenology as a necessary introduction to the Logic. The Logic therefore begins not, as the Phenomenology does, with sensations but with what Hegel called ‘pure thinking’. Although ‘pure thinking’ may sound mysterious, it can be understood as a kind of thought experiment in which we try to reflect on the content of our thinking without the aid of perceptual imagery.4 Hegel’s claim is that if we begin from the very simplest form of ‘pure thinking’, the idea of Being as such without any determination, we will find that this concept dissolves itself into its opposite, Nothing, and that both Being and Nothing are in an unstable unity and give way to the idea of Becoming. Hegel’s claim is that if you continue this process of thinking about thought eventually you work up ever more concrete categories until you generate the entire edifice of the Logic. We gradually learn through a process of negation that, though it at first appears as simple and immediate, ‘Being as such’ cannot stand on its own, that it is anything but simple and immediate. Even the most immediate and simple concept is implicitly mediated. Hegel makes the further claim – and this is probably his most controversial thesis – that the structures of thought that we discover in the Logic are identical to the structures of the world and that it is only through the exercise outlined in the Logic that we can adequately ground any science that investigates the natural and social world. One can agree or disagree with Hegel’s enterprise but if it is properly understood then it should be clear that for Hegel it is never the case that ‘images are processed as concepts’ in any sense. Hegel of course recognized the need for images or sensations and, in most of our day to day life, they serve us well. He also peppered his lectures with many graphic examples – images if you will – to assist his students in making sense of the difficult concepts he was presenting. But images, while a necessary crutch on the way to Science, are never Science itself. In fact, the road to Science can be described in one sense as the process of learning to leave behind our reliance on images although in the end any Science worthy of that name must be able to account for those very images. But the gulf between the crutches we may require on the road to Science and the end result is very evident in contemporary physics where theories of ‘hyperspace’ and a universe consisting of ‘N’ dimensions are practically impossible to intuit with any kind of imagery. The sharp difference between ordinary common sense and Science is also a recurring theme in the work of Marx, who was fond of paraphrasing Hegel’s dictum ‘There is no royal road to science’.5 Finally, it is also important to remember that for both Hegel and Marx the presentation of truth through images is by no means made obsolete because truth finds its most adequate expression in concepts. The aesthetic dimension also provides an avenue for the expression of what is True in and through the medium of images. Granted that Healy’s mangling of the difference between concepts and images betrays a lack of understanding of both Hegel and Marx, one may wonder why this work, as well as Bruce’s critique of it, dating back three decades and now all but forgotten, is worth any attention at all today. The answer to that question becomes evident when we look at what passes for science among groups and individuals claiming to have a handle on the laws of motion of our political and economic life. And what we see over and over again, with a few notable exceptions, is that one-sided images are presented as a substitute for serious scientific inquiry. Thus we see Left Keynesians claiming to be Marxists and presenting a picture of the crisis of capitalism as if it can be managed with more insightful and more humane fiscal policies. Or we have impressions of political and sociological developments announcing themselves with the bloated honorific of a ‘science of perspectives’. If Bruce’s critique of Healy helps to clarify the problem with these methods for those actively working to bring about socialism, then it has belatedly fulfilled an important function. of Marx and the Marxist classics that they are then free to pronounce judgments about everything under the sun. When such thinking takes hold in a Stalin or a Mao Tse-tung, malignant individuals who held the power of a state bureaucracy in their hands, then we see proclamations of infallibility the likes of which would elicit envy from the Pope. Stalin was not only the leader of the international proletariat, he was also the world’s greatest philosopher, linguist, military strategist, just to mention a few of his titles. In the hands of Healy, this form of hubris led to the absurdity of a ‘practice of cognition’ where the most superficial impressions replaced ‘cognition’ and in turn justified a betrayal of the most fundamental principles of Marxism in practice. Furthermore the obscurity of Healy’s terminology served as a useful bludgeon to mould recalcitrant party members into accepting and carrying forward his political line. In this sense the mystification of the dialectic, although nonsense from a strictly philosophical perspective, had a certain logic of its own. It provided Healy with the veneer of an esoteric doctrine that only he fully understood. This made it very difficult to challenge him as no one was in a position to claim that they understood what he was saying. Needless to say, this type of butchery of real scholarship has done much to predispose many intellectuals against Marxism. A resurgence of Marxist culture, without which it is hard to see how a revolutionary movement will emerge, awaits an honest coming to terms with this unfortunate proclivity, one that has produced numerous charlatans over the decades. Healy was hardly the first and he has not been the last.  The untangling of the conflation of historical materialism with a ‘theory of knowledge’ is a useful antidote both to Healy’s tendency to vaporize the study of history or science into his ‘practice of cognition’ as well as the equally wrong-headed notion that in analyzing history or politics one can dispense with philosophy or reinterpret philosophy in the narrowest sense to be little more than a defense of materialism.  In general, Bruce did a real service in deconstructing many of the curious word games that Healy created and incorporated into his Studies. He demonstrated that in many cases there were very good reasons why no one except Healy understood his version of dialectics. Healy’s pronouncements fell into three categories generally: sometimes they were a poor rephrasing of some well-known truisms from the lexicon of Marxism – often plagiarized from the works of Marx or Lenin. Sometimes Healy’s pronouncements were simply nonsense. And sometimes they were not non-sense but just plain wrong. Hegel’s great conception is perpetually confused with the form of thinking and perception in individuals. The more ‘dialectical’ the phraseology, the less dialectic gets a look in. The Science of Logic is not a psychological text-book: it shows the coincidence of the logical and historical, the complex contradictory relationship between the movement of things and the movement of thought. several pieces, none of which have survived as a revolutionary organization. It did not however have to end that way. Had the philosophical issues brought to the fore in Bruce’s critique of Healy been taken more seriously, it could have played a role in the rebuilding of the movement from the ashes of what Healy constructed and then destroyed. up the perspectives documents. As we have pointed out on other occasions, while there were always problem with the IC’s theoretical work, it had to its credit some genuine accomplishments in this area.7 Without making more of this theoretical material than is warranted, it is wrong to dismiss it altogether. Bruce defended the philosophical core of classical Marxism through a vocabulary reflecting the times in which it was written. The WRP in the 1970s and 1980s created a certain culture of discourse in which terms like ‘the new’ were liberally tossed around. The peculiarities of this idiom should not be allowed to distract the reader from appreciating the genuine contribution that the document makes toward our understanding of an important episode in the history of the Marxist movement. We are confident that in publishing it we are assisting a new generation in finding their way to genuine Marxism. 2 In Item 10, North says of Healy that: ‘. . . Hegel is approached uncritically, essentially in the manner of the Left Hegelians’ and this was characteristic of the ‘one decisive defect’ in Healy’s ‘Studies’. 3 Encyclopedia of Philosophy, MacMillan, 1967, Volume 7, p 415. 4 ‘The system of logic is the realm of shadows, the world of simple essentialities freed from all sensuous concreteness’. Hegel, Science of Logic, trans. A V Miller, Humanities Press, 1969, p 58. Hegel was in turn paraphrasing Euclid, whose rejoinder to King Ptolemy’s request for an easier way to learn mathematics was ‘There is no Royal Road to geometry’. Hegel’s sarcasm is palpable here and not only stands as an indictment of the indolent intelligentsia of his own times but can serve even more appropriately as an indictment of our contemporary ‘theoreticians’ who avoid like the plague engaging with ideas that challenge their sense of comfort in their own preconceptions. The ICFI Defends Trotskyism http://www.wsws.org/IML/fi_vol13_no2/fi_vol13_no2_vecpdf.pdf I commented on this history in the Conclusion to the Downward Spiral series. Only when asked to produce the text did I find that all I had to hand were a couple of poor- quality proofs, both with sections missing. This version was made by digitising and merging them. After all this time I forget exactly why but the conditions under which it first appeared meant that the text had neither been completed nor properly proofed. I have therefore corrected spelling, punctuation and syntactical errors of the sort that would normally be caught in proof reading but have resisted the (strong) temptation to lighten the tone of the purple prose in vogue in the milieu at the time and to drop points I would no longer make. (Out of sympathy for anyone rash enough to read it, I did remove a short paragraph where even I could no longer understand what I had been trying to say.) The only other cuts were references to people no longer in what passes on the left for public life. To the many who generously helped with what proved to be an important research experience for me, I remain grateful even if their names have no place here. THE FOLLOWING IS a contribution to the discussion in the movement on the question of method, which has centered on the critique of Studies in Dialectical Materialism. A little explanation is necessary. These notes were written during July and August of this year, after a long period of reading and discussion with others. We all had the dubious privilege of participating in Healy’s weekly ‘classes’ in dialectical materialism. At these ritualised parades of ignorance and sham, any attempt to raise points of difference, even in the form of innuendo, did little more than provide topics for after-hours discussion. The work is obviously unfinished. What was planned as a critique of the first chapter of the book grew like Jack’s beanstalk the more one began to realise the full implications of Healy’s ‘philosophical’ thought. Other events have, since September, forestalled the comparatively leisurely consideration of philosophical issues. Only the first few pages are discussed. My document contains errors, not so much of fact as emphasis. For example, one critic has argued that the distinction between the historical conceptions of thought as the property of individuals and thought as a social and historical process (Hegel) is insufficiently stressed. He has also taken to task the section on the categories of historical materialism. I accept the criticism. Others have pointed out that the whole is no more than a preliminary study prior to actually getting to grips with what Healy’s philosophy really represents as an ideology. I agree. It was Kant (Introduction to Critique of Pure Reason) who first pointed out – at least for me – that no new knowledge arises from analysis alone. The notion of the dialectical relationship between analysis and synthesis was deepened and elaborated by Hegel. Comrades who, with understandable frustration, seek quick and – dare I say it – facile explanations of the problems of the International Committee and the Workers Revolutionary Party could do worse than study what Hegel has to say on this. The concepts and categories of previous periods do not adequately explain the new. The forms of thought have to develop in line with its content. This key notion of Marxist philosophy must be grasped. It is the philosophical root of many of the disagreements in the party right now. It is why, for example, I would reject the notion that ‘Healyism’ can be adequately subsumed under ‘Pabloism’. Our movement has made many experiences since the battles of the early fifties: the world itself is a very different place. For my money, the ‘Pabloite’ tendencies are different, more degenerate, than they were thirty years ago. (This is not to side one way or the other on the Security and the Fourth International controversy but to consider all aspects of these movements.) To assume that ‘Pabloism’ is an adequate concept without going through a prolonged, detailed study of the whole history of the Trotskyist movement in all its aspects is to cut short the process of the deepening of knowledge. We have, as yet, no detailed history of an entire decade from the death of Trotsky until the early fifties; a period when the revolutionary movement faced the acid test of defeatism and war. We have still to establish not merely ‘the continuity of Trotskyism’ but also what actually comprises this ‘continuity’. – consider where that would leave us) a thread of integrity through different sections of the International vis- a-vis the Permanent Revolution, dialectical method, etc. Rather, the continuity of Trotskyism is based upon the economic and cultural conquests of October and the gains of the working class that have followed. The betrayals of Stalinism and social-democracy have not led to the overthrow of the property relations established in 1917. Millions of Russians did not die in vain in the struggle against fascism. That is the primary determinant of the continuity of Trotskyism. It is the movement of social forces (the major conquests of masses of people) that determines our ideas, not the other way round. To seek some kind of ‘Holy Grail’ in the interpretation of a selection of documents concerned with small- party politics without, at every major turn, re-evaluing this history, deepening our understanding of it against the backcloth of the real development of the class struggle is to make an idealist mockery of our history; to ‘spit on it’. It is true that many of the ideological gains of Bolshevism have been kept alive since 1940. It is equally important that we examine how. Much has been lost. Only fools would argue that, for example, the International Committee has today more than a semblance of the rich ideological ferment so vital to the development of revolutionary theory and practice that Lenin’s party had. Do we seriously think that the IC Congresses rank theoretically with the first four Congresses of the Comintern? Should we not ask why not? No section of the International has carried out an economic analysis of any major metropolitan country that can hold the shortest candle stub to Lenin’s The Development of Capitalism in Russia. Much talk of ‘the world crisis’ but little of the crises in the world. One could go on. It has been assumed for decades that the form of Lenin’s Bolshevik party – and a parody of it to boot – adequately expresses the content of its method. The Theses of the Third Congress of the Comintern, to which we have belatedly turned an eye, urge us to think differently. It was historically one of the great achievements of philosophy when it showed that the path to knowledge began with realising ignorance. Socrates saw that some time back. To get answers, we need to formulate the questions. Marx was fond of quoting Terence to say ‘Doubt everything’. Did he ‘spit on our history? It is in this spirit that these notes are submitted for discussion.  One final point. Although these notes are preliminary, I stand by what they say. What criticism they merit is not because they are incomplete. It is because they contain errors, or are simply wrong. Comrades who try to hide inadequate thought or theoretical incompetence behind a bleat that ‘this is only a preliminary analysis’ or ‘these are only notes’ (but I have not bothered to write anything since) are as wretched and cowardly as those too timid to examine their own history. They have much to learn if they want to earn the title ‘revolutionary’. THE CENTRAL COMMITTEE meeting of September 15th 1985 featured discussion on Gerry Healy’s Studies in Dialectical Materialism in which comrades who voiced reservations about the book were urged to place their criticisms in writing, a position reiterated at a political committee meeting the following week. I am therefore taking this opportunity to record my own anxieties concerning what I hold to be the fraudulent nature of the ‘philosophy’ which has passed for Marxism in our movement for years. This is not academic debate or an abstract polemic. The question of method stands supreme in the Marxist armoury. If the only weapon of the working class is organisation then the articulation of that organisation is its ideology – dialectical materialist thought. Without clarity on methodological issues, the movement is doomed – full coffers or empty, revolutionary situation or no. To compromise on these questions is to embark on the betrayal of the working class internationally. Those leaders in the party who remain indifferent at best or even choose to defend the method of Studies – and to the materiality that underlies this fraud – will have to face the judgement not only of the working class in Britain but internationally. The sophistry exposed in this contribution to the discussion has been perpetrated not only on our own party but on the international movement. and show that all that section is an amalgam of ignorance, error and deception. – right in the heart of Trotskyism. Such a tendency has predecessors but not in the workers’ movement. Bernstein’s call to go ‘back to Kant’ was the cover for a retreat into the crass reformism that characterised the growing German social democracy. Lenin fought the Machists against the backcloth of a profound revolution in science in the period of deep- going reaction after 1905. The pragmatic challenge of Burnham and Schatchman reflected the impotence of the petty bourgeoisie in the face of the Stalinist bureaucracy and chauvinist pressure on the Trotskyist movement as America prepared for war. All this is history. These tendencies and others like them reflected class pressures on the movement. In one way or another, groups, tendencies, call them what you will, pulled away from the revolutionary movement and covered their tracks with a retreat on methodological issues. There was debate, polemic and argument. Questions were fought out in the open in publications, congresses and so forth. The issues were clarified in the course of battle and the movement emerged the stronger the more vacillation was heightened into opposition. Education of the cadre flowed out of the struggle. But here we have something else. A morass of mystical thought is foisted onto the Trotskyist movement which not only challenges the core of Marxism – dialectical materialism – but all of the conquests of Marxism. It is not enough to show that there are errors here and there or even everywhere, or that the method of Studies can be shown to be subjective idealism. Anyone with a modicum of knowledge of philosophy and a dash of intellectual honesty can illustrate its errors. What has to be shown is that every line of the book is a challenge to the intellectual conquests of Marxism. And that is why it should be examined line by line. It is not a book that ‘simply’ reflects the pressure of alien class forces on a section of the revolutionary movement. There is a qualitative difference between the revisionism of Bernstein or Bogdanov and the method under discussion here. What was Lenin’s method of studying philosophy? We must call books by the names given by their author or publisher. The use of numbers (Come in no 14, your time is up) conceals that the Philosophical Notebooks are a compilation by scholars of rough notes. Why is it that the only book of Lenin’s consistently studied at the College is the only one of a set of 45 volumes not intended for publication in one form or another, i.e. as books, articles or letters written in the course of political activity? To portray the Notebooks as some kind of vade mecum of Marxist method – a substitute for the study not merely of Marxist philosophical writing but of philosophy itself, history and science – is not to praise Lenin but to bury him. It distorts both his work on philosohpy and his view of Hegel. According to Krupskaya, he studied extensively in the first exile – Kant, the French materialists, etc. He certainly was not unfamiliar with Hegel at this stage and was thoroughly conversant with Marx and Engels as well as Plekhanov on philosophy. Lenin read not only Science of Logic but The Philosophy of History by Hegel and the works of Berkeley, Leibniz, Feuerbach, etc. Pouring endlessly over ‘Volume 38’ conceals that these are notebooks and masks the content of Lenin’s method with the form. Nobody would deny the great value of the fragments and aphorisms which the conspectus of Science of Logic contains: the richness of Lenin’s dialectical conceptions are a priceless guide to the process of ‘turning Hegel on his feet’ to derive a revolutionary dialectic. But if they are taken in isolation – if ‘the thing’ is divorced from its ground – then the slippery path to mystification looms ahead. It is impossible to grasp the real meaning of the Notebooks without reading from the full text of Hegel which Lenin annotates. Further, you cannot understand that most historical of all philosophers without at least an aquaintance with the historical development of the concepts and categories that he discusses, i.e. a familiarity with the works of the principal classical and bourgeois philosophers. Engels’ book was not published while Lenin was alive. One cannot but feel that, had he seen it, Lenin’s instinct would have been to re-consider his Notes – after all, he said that every line of Engels contained something of value. To follow the spirit of Lenin would be to re-read Science of Logic on the Judgement in the light of Engels’ pertinent points. But a method which takes Lenin’s Notebooks as a thing-in-itself and ignores the text about which he writes cannot even see the problem. Only by looking at the original text can you see that there are forty pages (pps 622-663) that Lenin skips. Lenin saw the dividing line between Marxism and opportunism through the way in which Dialectical and historical materialism were correlated within their objective foundation’of the material unity of the world. 1 The dividing line between Marxism and opportunism is not so simple. How could Lenin form a bloc with the opportunist Plekhanov against the Bolshevik Machists, in spite of his reservations about the inadequate treatment of empirio-criticism in Materialismus Militans? In One Step Forward, Lenin points out that the class lines in politics are not revealed directly in philosophical debate or even in discussion about programme, policy, etc. This was precisely the significance of the ‘Rule 1’ debate in 1903: the profound political differences were only revealed in what seemed to be trivial issues. As a matter of fact, neither Lenin nor Trotsky tried to explain Plekhanov’s opportunism primarily by looking for ‘philosophical’ flaws in his writings although they did criticise them. They looked rather at the evolution of his social being: long years of exile, isolation from the movement, the undeveloped state of the class struggle during his formative years, etc etc. 2 The objective unity of the world is not to be taken for granted, but had – has – to be established by ‘the long and wearisome development of philosophy and natural science’, a social practice of mankind over thousands of years whose highest expression is the development of dialectical materialist philosophy. But it is not possible to take ‘the highest expression’ and junk the rest of science, history et al. Castles cannot be built in the air, in spite of the attempt of Studies to try. The second line of paragraph 4 reads: ‘But a dividing line does exist between the two and it is important that we understand what it is, especially in relation to the process of Cognition’. We are given a precursor – on the first page – of the method of the book. Start by pronouncing Dialectical Logic as some special field of study (never mind if we contradict ourselves later on); proceed to pass over historical materialism with plagiarism and distortion of Lenin’s Friends of the People and hurtle into the world of logical concepts and categories where thought determines thought. The schematic imposition of logical forms onto the impression of the day guides the party (from one crisis to the next, when social forces really begin to move). How do we learn to think dialectically? Dialectical Materialists get to know the world initially through a process of Cognition. Which is to say that ‘dialectical materialists cognise the world initially through a process of cognition’. How the rest of unfortunate mankind manages to avoid falling under the first bus to pass their door remains a mystery. But this is more than a careless slip. If cognition is the province of the dialectical materialist alone then the cult of infallability is assured. We can pronounce on any subject we like and how is the rest of mankind – Subjective Idealists to the last man jack – to prove us wrong? Leadership is – in the last analysis – answerable to nobody. What criteria establish entry into the hallowed circles of dialectical materialists? It certainly appears that education is inimical to thought. Take para 3, page 14. Perhaps if bourgeois culture in any form has little to offer, then maybe the day-to-day experience of party work selects the chosen few? Engels’ enjoinder to develop the art of thinking in concepts and categories by studying the history of philosophy; Lenin’s insistence that Marx’s great work on dialectics was Capital itself and his recommendation to study Marx, Engels, Plekhanov, Mehring; Trotsky’s drawing attention to the importance of studying the first four congresses of the Comintern – none of these rate a mention. Let us leave the newcomer to flounder for a moment and see how the dialectical materialist – so called – undergoes this ‘process of Cognition’. It [the world] affects the sensory organs, producing sensation in the form of indeterminate mental images. As forms of the motion and change of the external world, these images are processed as concepts of phenomena. Upon negation through their dissolution from the positive sensation into their abstract negative, they are negated again as the nature of semblance into positive semblance which is the theory of knowledge of a human being. During this interpenetration process, the images as thought forms are analysed through the science of thought and reason which is Dialectical Logic. The empirical philosophers argued that concepts develop in the mind of an individual out of his or her experience: the gradual accumulation and analytic abstraction of the datum of sense. Images or, as Locke called them, ideas are the basis on which concepts are formed. The mind of the child is a tabula rasa, a blank tablet on which nature leaves its mark. The Rationalists, stressing the role of Reason and the ability to conceive of mathematical abstractions, held that concepts could not be developed merely out of experience but were innate or God-given. Hegel, building on Kant’s Critique of Pure Reason, showed that the question for philosophy was not how concepts developed ontologically (i.e. in the mind of the individual) but historically in society. He distinguished between psychology and philosophy and this distinction is crucial for Marxism. The empiricists spoke of ‘experience’, not mere sensation. Experience is a broader category which avoids rather than tackles the distinction between psychology and philosophy but is none the less more profound than mere ‘sensation’. Both Bacon and Locke took ‘reason’ somewhat for granted and stressed the sensual source of knowledge. The contradictions of materialist empiricism were highlighted by Berkeley (What is matter?) and Hume (Can we know? ); the empirical tradition ended in subjective idealism and agnosticism where it remained with its positivist and Machist revival. The weaknesses of a one-sided epistemology (Rationalism or Empiricism) were confronted by Kant. His historically-conditioned failure to resolve this problem other than in a schematic fashion in no way detracts from his genius in attacking the contradiction between the sensuous source of knowledge and its suprasensuous form. of the appearance (Phenomena as Kant calls it) of this: truly The Phenomenology of Spirit. Let us leave the question of positive or negative semblance, which is a confusion of Hegel’s description of semblance as the nullity of essence – essence appearing as that which it is not. (See e.g. The Science of Logic, p 397). For the moment, consider the category of semblance which we can only assume is being defined in the phrase ‘positive semblance, which is the theory of knowledge of a human being’. Semblance is the illusory side of appearance: things appear as that which they are not. This point has occupied the minds of the greatest philosophers for over two millennia: how fortunate that the dialectical materialist is so privileged by his ability to cognise that he does not even have to consider it. Bacon argued (The Advancement of Learning) that the senses are reliable if we trained them, took care to look again and again, not to deceive ourselves etc. But Leibniz and the other rationalists showed that sensation cannot reveal essence. Nobody ever has the same sensation twice nor do two people ever see the same object in the same way. Every one knows what a six-sided cube is but who, without moving, has ever seen more than three sides of a cube? How do we know if the famous stick half-in and half-out of the water is really bent? Only reason can overcome the unreliability of sensation. If there is a harmony between what we see in the world and what is in thought – if there can be knowledge – then this harmony is pre-established by God. But there is still another aspect to the problem: not just the partial but the illusory nature of appearance. Hegel argued that semblance was not ‘just’ an illusion but was both there and not there, real in one sense and not-real in another, objective in both. The stick in water appears bent but it is not; there is a real cause for the illusion of bending – an essential reason – but this has to be derived. It is not enough just to keep looking at the stick or scholastically arguing about phenomena – real knowledge has to be won not just about ‘sticks’ but a range of associated things such as the refraction of light at a boundary. Lenin clearly grasped this when, before quoting Hegel, he said, ‘Semblance is: Nothing, nonexistence (i.e. Hegel tackles the sensation/reason contradiction in a profound if idealist form. The percept does reveal only a part, an aspect, a semblance of the essence, but this illusory side of appearance, far from being a constraint or limit on the objectivity of truth, is in fact the key to truth. (Hence in itself, i.e. potential, not yet unfolded. The phrase ‘in itself ’ was coined not by Hegel, Lenin or even Healy but by Aristotle.) Essential knowledge is shown to be more profound than that which can be revealed in one moment of being. It is the movement of the world which allows real knowledge. To put it crudely, take the stick out of the water completely so it appears straight and the whole problem of refraction is raised for science to investigate. When Marx described profit as the semblance of surplus value, he showed in materialist thought the great importance of Hegel’s category. He claimed it as one of the most important discoveries of his research – revealed only in the historical analysis of capitalism, that is in the movement of essence, of the totality of man’s social relations. Previously, economists had used concepts and categories such as profit, rent etc that described only the appearance of capitalism – what Kant calls the phenomena of the thing-in-itself – and so could not grasp the essential nature of capitalist commodity exchange. In that historical sense, Kant was right when he said that the thing-in-itself was unknowable: he correctly described the dilemma of contemporary science. Kant concurred with the empirics in that experience was the only source of knowledge but, trained in the Rationalist tradition, he also saw that there is a non-sensual element in real knowledge. He could not – due to the limitations of the science of his day, as Engels explains – see the path from the sensual world to the suprasensual, from the concrete to the abstract. He had posed the contradiction but could not overcome it. Being and thought remained opposites: the ability to reason, to conceptualise, categorise and synthesise – never previously in philosophy as profoundly investigated as by Kant – still could not be explained through the development of life itself. He had to stress the a priori nature of conceptual thought, i.e. the God-given ability of man to grasp the appearance of things. His conviction that nature concealed an essential behind this appearance did not prevent him saying that this could not be understood. Intuitively feeling an identity between being and thought – i.e. that knowledge is possible – he nonetheless could not show the movement from one to the other. He counterposed absolute thought to being, drew a distinction between them and placed constraints on knowledge. ‘Awoken from my dogmatic slumbers’ as he put it by the agnosticism of Hume and realising that, if Hume were right, then science was impossible, he could not resolve the problem. But he had identified it. His thought, which to this day remains provocative and profound, has to be studied as a pre-condition for grasping the contribution of Hegel and, more important, Marx’s negation of Hegel. The real refutation of Kantianism in practice was the achievement of Marx in Capital. Here, by studying the concepts and categories of all previous political economy – from Aristotle via Petty and Smith to Ricardo – and a mass of new material, the laws of motion of capitalism were laid bare. It was the application of the dialectic of Hegel, his method materialistically inverted, to the history of economics and to the history of society itself, the coincidence of the logical and the historical. Through a critique of all previous economics and the thorough analysis of empirical data not available to his predecessors (i.e. because he described developments that had not yet occurred in the time of e.g. Adam Smith), Marx was able not merely to analyse the appearance of capitalism but to penetrate to its essence. Unlike the categories of the great bourgeois economists, Marx’s economic categories are not given in appearance. You can see profits, rents, even social classes but you cannot see surplus value or the contradictory nature of the commodity. Their real nature is hidden by their appearance. In this lies the illusory side of being. Nonetheless, they can be revealed in the historical analysis of society. And in this process of uncovering, we move away from the concrete to the abstract only to bring us actually closer to the concrete. This is a correct outline of a materialist understanding of the category of semblance. Semblance is not ‘the theory of knowledge of a human being’: it describes how natural and social phenomena reveal themselves while concealing their essential nature. Any other definition is wrong. Consider the question of the national liberation struggle especially in the light of Workers League suppressed document on this question. It analyses the tendency to Pabloite revision of the theory of Permanent Revolution expressed in the WRP’s attitude to the national liberation movements and the colonial or neo- colonial bourgeoisie. Without accepting every one of the points made, I would endorse the general line of the argument. Studies holds that the dividing line between Marxism and opportunism is seen through the way in which dialectical and historical materialism ‘were correlated within their objective foundation of the material unity of the world’. Feuerbach was closer to the mark when he said that you can tell a man by his philosophy. The error on the question of semblance – on which so much emphasis is laid – reveals the philosophical revision behind the opportunist adaptation that the Workers League exposed. The totality of the world crisis of imperialism is expressed in the contradictory, combined and uneven, (NB neither the uneven development stressed in the Sixth Congress resolution nor the combined development which permeates the May Day Manifesto of April 1985 but the combined and uneven) development of a world system. This historical phenomenon can only be revealed in the painstaking analysis of the history of capitalist plunder and exploitation itself using the method of historical materialism. The struggle of the oppressed masses in the colonial and semi-colonial countries is a part – and a profoundly important, decisive part – of the world-wide movement against imperialism. But to the fighters of FATAH or to the proletarians of Soweto, this essential nature of the struggle is not revealed. This can only be grasped by understanding the totality of the world system, with its history dialectically grasped and its laws of motion laid bare. These laws, as tendencies with quantitative and qualitative manifestations, are not given once for all in old books (Capital) themselves not deemed worthy of study in our College. They must be constantly reworked, re-evaluated and developed from the living movement of the class struggle world-wide. And more than this: the way in which these objective laws unfold has to be changed through the practice of building the international Trotskyist movement. Laws are not an absolute which from time to time bursts forth to alter drastically the course of struggle: they are abstractions in the mind of man which reflect the movement of things. They are suprasensual notions of essential relation – approximations to the complexity and contradictory movement of nature and society – which enable man to harness the motion of nature to his own advantage. We can grasp aspects of the law of gravity by standing bare-headed beneath an avalanche of rocks – or we can study the science of civil engineering and consciously mould the mountain to provide the necessities of life. But what if we disregard all this and call semblance the theory of knowledge of a human being? Or make it more impressive and call it Positive Semblance? The way in which things appear as that which they are not is ignored and discarded. What is seen – illusory being – becomes what is. A re-hash of Locke’s empiricism rules. A mystical theory of perception substitutes for the method of materialist philosophy and the essential nature of the world revolution becomes identified with its appearance. The national liberation movements become the essential factor in the liberation of the oppressed masses. The contradictory historical role of the nationalist bourgeoisie is forgotten as one side of the contradiction becomes an absolute at the expense of the other. But this has its bedfellow. If national liberation movements are ‘progressive’, then Galtieri’s offensive on the Malvinas is characterised not from the historical analysis of the totality of the world relations of imperialism but from an a priori label of Galtieri as a ‘dictator’. There was a bitter struggle in the party leadership on the question of the Malvinas war. I contend that it found its expression in philosophical errors. ‘This is not our war’ is a political line with a long history and it is not called defeatism. The second paragraph on page three is an interesting quotation from Lenin taken from his notes on Hegel’s discussion of the objective dialectician, Zeno (5th cent BC). Even if a non-sequitur in context, it is a little breath of fresh air. Marxism recognises and insists that the theory of knowledge incorporates the history of the sciences in addition to the knowledge revealed by the Historical Materialist method. Through this method, Marx revealed that the practical activity of all human beings which is known as Social Being exists independently of them and determines their social consciousness.
. . . the practical activity of all human beings exists independently of them and determines their social consciousness.
. . . the practical activity of all human beings exists independently of and determines their social consciousness. Leaving aside the implications of the meaningless as a tool for the precision of science, let us take a first look at the relationship of social being to social consciousness. One cannot better Engels’ famous letter to J. Bloch of September 1890 to refute this mechanical materialist – and therefore ultimately idealist – conception of the relationship of being and consciousness. Social Being and Social Consciousness are not independent: they are dialectically related one to the other, opposites which interpenetrate with being as primary vis a vis consciousness. That is Engels’ position. And if you examine with a little care the quotations from Lenin reproduced in the section ‘Social being is independent of sociai consciousness’ on page 11 of Studies, you will find it to be his position too. In this process of cognition we now have the combined use of three important sciences, i.e. Dialectics, Dialectical Logic, and the theory of knowledge of Historical Materialism. These must be understood as the component parts of the process of cognition as a whole. In Capital, Marx applied to a single science logic, dialectics and the theory of knowledge of materialism (three words are not needed: it is one and the same thing) which has taken everything valuable in Hegel and developed it further. Lenin speaks of the theory of knowledge of materialism while Studies talks of the theory of knowledge of historical materialism. Historical materialism is not a theory of knowledge, although it implies an epistemological element unlike ‘positive semblance, which is the theory of knowledge of a human being’ (para one, same page). The latter is just nonsense. f positive semblance is the theory of knowledge of a human being and we have a theory of knowledge of historical materialism, can we syllogistically deduce that historical materialism is positive semblance? As Engels makes clear – and as one of the propounders of the theory, it is fair to assume he knew – historical materialism maintains the primacy of man’s activity – the production and reproduction of life – over his consciousness, whether as individual will or as the social consciousness of mankind. The development of the means of production and the manner in which this comes increasingly into conflict with the social relations of production is the driving force for social evolution and revolution throughout history. A theory of history is not plucked out of the blue: anyone who wants to understand how historical materialism developed from other theories which also sought an underlying trend in the seemingly endless turbulence that comprises Man’s social progress could do worse than read Plekhanov’s Development of the Monist View of History which discusses just this, especially in the early chapters on French materialism. Historical materialism is the application of dialectics – general laws of movement and change so brilliantly expounded by Hegel under the cloak of idealism – to the question of Man’s history considered with being as primary. Dialectical logic studies the historical process of the reflection of movement and change in the mind of man: the process of the deepening of knowledge. The laws of nature, the laws of society and the laws of thought – each considered historically and logically – that is the sense in which Lenin speaks of them being essentially the same. And if Engels explains that once in his writings, he explains it a dozen times. Can we equate science and the theory of cognition? A scientific grasp of the external world is also the scientific understanding of cognition as a process. Confusing at best, more likely downright wrong. Natural science is not the same as philosophy nor is every natural scientist a philosopher. A scientific grasp of the external world – leaving aside the question of the relative nature of such a ‘grasp’ – is not the exclusive province of the dialectical materialist. In fact, the opposite is more generally the case: development of dialectical materialist philosophy has been spurred on by progress in science in spite of the methodological weaknesses of most scientists. The notion of the identity of science and philosophy comes from crude vulgarisation by many Soviet philosophers. See, for example, Oizerman, Dialectical Materialism and the History of Philosophy, p 8. For Engels, who showed his respect for science by studying both its findings and its methods, the problem was that those who did most to develop man’s scientific grasp of nature did not have a general conception of the dialectical laws of nature or its reflection in our minds – cognition. Can something real be so irrational? From synthesis, which is implicit in the science of dialectical perception, Dialectical Logic takes over and reveals concepts and categories for analysis, thereby activating the science and the theory of knowledge and historical materialism. Thus the ever-changing material properties of thought in Dialectical Logic in self-relation between subject and object, co-incide materially with the theory of knowledge. ‘I don’t know what you mean by “glory,” ’ Alice said. ‘But “Glory” doesn’t mean ‘a nice knock-down argument,’ Alice objected. When I use a word,’ Humpty-Dumpty said in rather a scornful tone, ‘It means just what I want it to mean – neither more nor less’. So why say, ‘From synthesis, which is implicit in the science of dialectical perception . . . ’ What (if anything) does it mean? Mankind in his daily life is confronted by an array of phenomena – appearances of things – which are perceived. Properties are abstracted, brought together; concepts are developed each describing common attributes of apparently unrelated things: i.e., colour, age, propensity to rust or whatever. The thing is broken down – analysed – into its properties. Concepts and percepts can be brought together to synthesise new conceptions, which guide our practice. Every thought and every practice of man and animals contains elements of both synthesis and analysis. As Engels describes in Dialectics of Nature (p 222), these are activities of Understanding. But the philosopher means something more developed. Reason is a property not of man as an animal but of man as a developed social being with a history and a comparatively long one at that. In analysis, we break down the movement and change of natural phenomena and – through the process of thought – synthesise notions whose abstract character brings thought much closer to concrete reality. Laws, tendencies, possibilities, causes and effects: the apparent movement away from reality towards the abstract, towards the synthesised notion, not given immediately in sensation, actually bring us closer to reality. Here, too, Hegel is essentially right: value is a category which dispenses with the material of sensuousness but it is truer than the law of supply and demand. From the first clause in Healy’s paragraph, which uses words to mean just what anyone wants them to mean, we come to the second. From synthesis . . . Dialectical Logic takes over and reveals concepts and categories for analysis, thereby activating the science and the theory of knowledge and historical materialism. The cornerstone of materialism is the notion that thought is the reflection of matter in the mind of man. All philosophy grasped that this relationship was more than a ‘mirror’ reflection: the giants of the eighteenth century – Diderot and Rousseau above all – touched on the dialetic of nature and society. Kant placed the contradictory nature of thought fair and square at the centre of his Critique. Hegel’s crowning achievement was to show that this dialectic of thought was a reflection of the dialectic of things, which was itself the ‘alienation’ of the Absolute Idea. What determined the idealistic form of his thought? First, the inability of mechanical materialism to tackle the dilemma of the link between social being and social consciousness and the failed dreams of the Enlightenment which had promised so much but whose actuality was the French bourgeois regime and the collapse of the Napoleonic empire. Second, the other side of this development – a class which, to end its own oppression, had to end all class oppression – had yet to enter the arena of history. Nor does ‘Dialectical Logic’ reveal concepts and categories for analysis; thought does not determine thought. Concepts and categories are derived from the analysis of matter in motion – nature, society, etc. If this phrase from Studies seems to be asserting the primacy of thought over matter, read on. What ‘. . . thereby activating the science and the theory of knowledge and historical materialism’ means, I do not know though it acquires sense (but little meaning) if it is re-phrased, ‘. . . thereby activating the theory of knowledge and historical materialism,’. Let it pass; there’s worse to come. Thus, the ever-changing material properties of thought in Dialectical Logic in self-relation between subject and object, coincide materially with the theory of knowledge.  Thought does not have material properties either in ‘Dialectical Logic’ or anywhere else. It is a property of matter in motion. As Ilyenkov points out [I learnt later that Dietzgen did so first], thought is a property of thinking matter just as walking is a property of the legs. If something has material properties, it is . . . material, just as a piece of iron with magnetic properties, is . . . magnetic. Iron has magnetic properties but magnetism does not have ferrous properties. If a form of matter in motion – mankind – has the property of thought, it is thinking matter. Spinoza understood that over 300 years ago. But the notion that thought has material properties is a form of thinking whose name has a long history: idealism.  How can thought, “coincide materially with ‘the theory of knowledge’ ” without the corollary that both thought and the theory of knowledge – a part, an aspect of thought – are forms of matter? What, then, are the principal errors on these first two pages of Studies in Dialectical Materialism? 1 The notion that a trilogy of numbered books, one of which was not intended for publication, can serve as a substitue for the canon of bourgeois and Marxist thought which was the starting point for Lenin’s own political development. 2 The confusion of the process of cognition with the study of cognition and the idea that cognition is some special privilege of a Marxist. 3 A gross error on the question of semblance and the ludicrous notion that semblance is the theory of knowledge of a human being. 4 The equally false notion that historical materialism is a theory of knowledge not a theory of history. 5 The idea that concepts and categories are revealed by ‘Dialectical Logic’ and not by the movement of nature, i.e. the idea that thinking determines the course of thinking. Not bad for well under 1,000 words. A cursory look at the sections in Studies on ‘Historical Materialism as a method’ and ‘The great achievement of Karl Marx’ will show them as a plagiarism and a distortion of Lenin’s 1894 book, Who ‘The Friends of the People’ are and how they fight the social democrats.’ Let’s take a closer look. Of course it can be said that ‘Historical Materialism is a method for the building of the Revolutionary Party, based upon Cognition of its object. . .’ but it is, nonetheless, a definition so narrow as to be false. All practices of mankind start from ‘cognition of its object’; it can be called knowing a little of what we are talking about’. But wait. The ‘object’ is defined as ‘society consisting of conscious human beings, with the will to go on changing the world independently of each other as individuals’. This is precisely what historical materialism is not as the quotations on the next page of Studies show. The section on historical materialism is self-contradictory from first to last. As Lenin says, ‘The mass of people adapt themselves to these relations unconsciously.’ It is true that people ‘consciously’ proceed about their day to day lives in so far as they think about what they are doing, lay plans for the future, engage in the struggle of classes and so on. From forms of the development of the productive forces these relations (of production) turn into their fetters. Then begins an epoch of social revolution. With the change of the economic foundation the entire immense superstructure is more or less rapidly transformed. In considering such transformations, a distinction should always be made between the material transformations of the conditions of production, which should be established in terms of natural science (emphasis added), and the legal, political, religious, aesthetic or philosophic – in short, ideological – forms in which men become conscious of this conflict and fight it out. The essential determinant of human history is not the will of anybody; it is the struggle of man against nature which assumes in the course of history a bewildering variety of forms. The great achievement of historical materialism was to show that there were factors hidden beneath the surface of society that gave to these appearances a unity: it was possible to show that, ultimately, the determinant of historical progress was the contradiction between the development of the forces of production and the social relations of production which had arisen as a superstructure on this economic base. This is the ABC of Marxism. Any other notion is wrong, false, erroneous, idealist and reactionary. But such is the starting point for the discussion in Studies on historical materialism and no quotations from Lenin or Marx can conceal this. Lenin showed that such a development and change was a historically natural process which he placed on a scientific foundation as a source of ‘social theory’, incorporating the developments in the sciences. The scientific nature of social theory is generated from the essence of the material unity of nature in constant motion, which provides the conditions of life out of which develops the class struggle in society. 1 ‘Such a development and change.’ What development and change? Neither development nor change have yet been mentioned in this section. Is this serious scientific writing? 2 Lenin showed nothing of the sort. Neither Engels nor Lenin was the founder of the theory of historical materialism. Karl Marx was. And nobody was more willing than Engels and Lenin to acknowledge this. Lenin defended Marx’s method against all-comers and applied it to the conditions of his time. That is all. 3 A historically natural process was not placed on a scientific foundation by Marx, Engels, Lenin or anybody else. Marx provided a scientific foundation for understanding a natural process: for the interpretation and re-interpretation of history. The negation of French mechanical materialism – i.e. its dialectical sublation and the materialist sublation of dialectical idealism created the ground for Marx first to postulate and then to demonstrate his theory whose starting point was the study of history, something that never rates a mention in this or any other part of Studies. 4 The scientific nature of social theory is not ‘generated from the essence of the material unity of nature in constant motion, etc’. The essential nature of phenomena, whether natural or social, is derived from analysis of the appearance of things and the synthesis of abstract notions: the establishment of relations of cause and effect, the conception of law-governed relations, etc. 5 ‘. . . which provides the conditions of life out of which develops the class struggle in society.’ Nature does more than ‘provide the conditions of life’ – it is the basis for life itself, including, at a late stage of development, human life, which arises as a social phenomenon. It was the emergence of man as a tool-making animal (a phrase of Benjamin Franklin’s which Marx admired) which underlay the development of surplus means of subsistence, the social division of labour, the evolution of forms of property and of social classes. Further development of man’s capacity as a tool-maker brought these classes not into relative but into absolute contradiction. This simple notion is central to the materialist conception of the origins of the class struggle. Any reformist or idealist academic could agree that the class struggle arose out of the conditions of life which is in any case the theme of Rousseau’s Discourse on the Origins of Inequality in Man. We have come a little way since then, surely? Or did Engels have nothing to add in Origin of the Family, Private Property and the State? Even the context of the quotations is distorted. In the extract from A critique of Hegel’s Philosophy of Law from which Lenin takes an extensive quotation, Marx is not referring to the historical implications of such essence’ at all but to the conclusions he drew from his reassessment of Hegel’s philosophy. The ‘relations of production’ are sometimes referred to as the mode of production, whilst the material productive forces may be called the means or tools of production. These interacting opposites, as laws, constitute the objective nature of the capitalist crisis. They can be referred to as anything under the sun but nothing will alter the fact that relations of production are not the mode of production. The mode of production is a contradictory unity of the forces of production and the relations of production: what is owned, how it is owned and worked and who owns and who works. The forces of production include not only the instruments of production – factories, mines, etc – but the working class; not only the objects of history but its subjects. Revolutions are not made by machines but by people. From forms of the development of the productive forces these relations (of production) turn into their fetters. – in unity with subsistence agriculture, primitive hunting and gathering or Greek slave economy – even if there are elements of commodity exchange in any one form of these modes of production. What, but what, is a Law? These interacting opposites, as laws, constitute the objective nature of capitalist crisis. If we correct the above (elementary) error and say that the ‘relations of production’ and the ‘forces of production’ are the interacting opposites in question, we can now examine the second half of the paragraph. And it is wrong whatever sense you try to give it. 1 The correct category to describe their relationship is contradiction, not interaction. Without the absolute incompatabilty of the two sides of the contradiction coming into Existence in the course of historical development, there is no social revolution – and no need for it. 2 ‘Law’ is a category that describes the form of essential relation, not the mere existence of contradiction but the course of its movement at different levels of abstraction. Law can be the most general expression of movement (e.g. the law of the interpenetration and transformation of opposites), a precise and limited relation of science (e.g. Ohm’s Law, V=RxI) or an expression of tendency that penetrates to the essentiality beneath the appearance of complex phenomena such as the law of the falling rate of profit. This is a remarkably materialistic and remarkably appropriate (with the word quiescent) determination. Law takes the quiescent – and therefore law, every law, is narrow, incomplete, approximate. What then is meant by this passage? Nothing more than to distinguish between that which belongs to nature and that which belongs to man; it does not assert that there is actually nothing in nature corresponding to the words or ideas of order, purpose, law. All that it does is to deny the identity between thought and being; it denies that they exist in nature exactly as they do in the head or mind of man. Order, purpose, law are words used by man to translate the acts of nature into his own language in order that he may understand them. These words are not devoid of meaning or of objective content; nevertheless, a distinction must be made between the original and the translation. Order, purpose, law in the human sense express something arbitrary. 1 A revision of the basic economic categories of historical materialism. 2 A description of contradictory opposites as merely ‘interacting’. These ‘interacting opposites’ (?) as “law” (?) constitute the objective nature of capitalist crisis. That is ‘capitalist crisis? Did Marx write Capital or no? Does capitalism as a world system have a history or not? The canon of Marxist economics – describing the activities of hundreds of millions of people over centuries, culminating in an epoch of wars and revolutions without parallel in the history of mankind – can be subsumed under a wretched mockery of historical materialism and dismissed in a phrase. This is truly the degeneration of thought. Lenin recognised that Cognition of such an historically-developing process as the relations between the activities of individual subjects of Cognition involved reflection, embodying the historical materialist method, as distinct from the Cognitive process in general. In a quotation from Marx, Lenin indicated some of the issues raised by this type of Cognition, which occurs when the actuality of the process of Cognition emerges. Let us try to make this convoluted nonsense into plain language to see what it really says. It takes only a second to read but much longer to puzzle out, believe me. Have a dictionary to hand. Lenin recognised that the faculty of knowing about the history of the activities of individual people, who have themselves the faculty of knowing, involved thinking about it, giving concrete form to the historical materialist method, as distinct from the process of thinking in general. In a quotation from Marx, Lenin indicated some of the issues raised by this type of ‘knowing’, which occurs when the reality of the process of knowing emerges. Marx simply says that, in a revolutionary epoch, ideology is determined by the contradictions in society not that people have revolutionary ideas and therefore change society. He makes the point because he is discussing social revolution. Marx’s historical materialism was one of the great triumphs of human thought and he postulated the theory at that time in history when the conditions for such an intellectual development were present. But the conception is fundamentally simple. 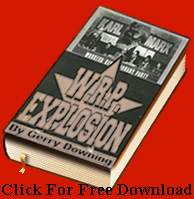 It has been illustrated by all the great Marxists – Marx himself, Engels, Mehring, Lenin, Trotsky, Luxembourg plus a host of lesser figures such as Morgan, Kautsky, Bernstein and more modern historians like Morton, Hill and Polisensky. They all painstakingly researched or reinterpreted history on the basis of the materialist premise and showed how the economic developments underlying the movement of society determined the political, ideological religous, etc superstructure. Nonsense like we have here has one purpose: to conceal with mystification the fact that the author is ignorant of history in any shape of form. It was common practice for the historians of the pre-Marxist period to study political and legal forms as if these were consciously established by men alone and not by the dialectical law-governed social relations existing independently of men. Like everything in nature, social relations are both dialectical and law-governed. The historical materialist method consists of revealing beneath the complexity of the material the laws that govern the movement and its dialectic. And, for that, the starting point is history itself. You will find very little material to work on if you confine yourself to social relations that exist independent of men. People play a not unimportant role in society. Bolder folk might call it decisive. In singling out ‘production relations’, Historical Materialism provides an objective demonstration that such relations were nothing less than the ‘structure of society’, which distinguished one capitalist country from another. Take the full paragraph from Lenin from which this is plagiarised to illustrate how the plagiarism is also a distortion. relations without even realising that there is a social relation of production here) – the analysis of material social relations at once made it possible to observe recurrence and regularity and to generalise the systems of the various countries in the single fundamental concept: social formation. It was this generalisation alone that made it possible to proceed from the description of social phenomena (and their evaluation from the standpoint of an ideal) to their strictly scientific analysis, which isolates, let us say by way of an example that ‘which distinguishes one capitalist country from another and investigates that which is common to all of them. The subjectivists, whilst admitting ‘that all historical phenomena conform to law’, were incapable of regarding their evolution as a process of natural history, precisely because they came to a halt before man’s social ideas and aims and were unable to reduce them to material social relations’. Though lifted almost verbatim, it is here that the fraud also becomes a charade. The chapter is purporting to compare and contrast Subjective Idealism as a method and tendency either within the party or petty- bourgeois layers of the workers’ movement or both (it is never clear which with the result that untrained and inexperienced party members become totally confused) with the method of Marxism. But Subjectivism is not, repeat not, Subjective Idealism. It has no connection with Subjective Idealism. Neither tendency – and both have a definite, established and prolonged history explained at length in Marxist literature – is defined in any shape or form. Subjectivism was a tendency in the liberal Narodnik movement in Russia at the close of the nineteenth century whose chief spokesman was Mikhailovsky. Both Lenin and Plekhanov fought fierce polemic with him in the struggle to establish Marxism at the head of the Russian workers’ movement. In Friends, Lenin clearly defines it as a ‘wretched imitation’ of utopian socialism. Central to its thinking was a view of history as something ‘moral, just and inevitable’ alongside the idea of the ‘passive’ crowd (unconscious and imitative) and the ‘active’ hero. This is all very clear in Friends (See e.g. pps 158-160). Subjective idealism on the other hand is not a theory of history, politics or sociology but a philosophical doctrine. Its most famous protagonist – Bishop George Berkeley – was born in Ireland in 1685 and published his major work, A Treatise concerning the Principles of Human Understanding, in 1709. This was followed by a popularised account of his theory (Three Dialogues between Hylas and Philonus in Opposition to Scepticism and Atheism) three years later. He was himself a scientist of no mean competence: his first publication was on the psychology of vision and he keenly followed the scientific revolution of his day. An admirer of Newton and Locke and familiar with the work of both, he was nonetheless repelled by the materialist foundation of Locke’s philosophy. movement – have been tested in the crucible of time. But it is not a ‘proof – and cannot be, because as a ‘living thing’ (to use the phrase quoted in Studies), it is not subject to ‘proof ’ in that sense. – that has been proved over centuries of observation and only a close reading of Studies would call it into question. But even that ‘roundness’ is relative. Asymmetrical oblateness is a more developed notion which ‘proves’ the theory that the planet is round – and whose own ‘proof ’ is the result of theoretical thought and scientific technique which has a ‘round’ planet as its starting point. Anybody with a glimmer of the scientific method – even those awful people with their grubby individual needs in the universities – is well aware of the difference between proof and test, of the relative within the absolute of knowledge. What follows from saying that historical materialism is ‘proved’ by Capital? That it need not be reconsidered! Which is just what happens in this book. Historical materialism, Marxist economics and the study of history go out the window. What is left behind is ‘dialectical logic’ – and the ‘dialectical logic’ of a fraud to boot – in which the ignorance of the history of philosophy is rivalled by the parody of Hegel and surpassed by the distortion of Marx’s achievement. To think that the author of The Development of Capitalism in Russia is invoked to justify this charlatanry and that the book goes out with the name of the Workers Revolutionary Party emblazoned on the cover! I defy any member of the party (hopefully now the rump) to say that they are proud of what this book represents and to defend it in writing in this discussion.